Hi friends - it's the last day of the month...so we all know what that means...it's time to reveal what I received in my mailbox this past month! This month for the first time ever since I joined Foodie Penpals I received my box from a fellow blogger - Hayley from Haley Runs and Eats. She's got lots of great recipes on her site - so make sure you check her out! Hands down our family fav was Hayley's homemade granola...it is soooo yummy - and I love that she included a list of all the ingredients (so perhaps one day we could try and make it ourselves). I also really enjoyed the fact that she included local to her items to try - as that's always a nice treat! Thanks again Hayley!!!!! and thanks as always to Lindsay over at The Lean Green Bean for hosting. 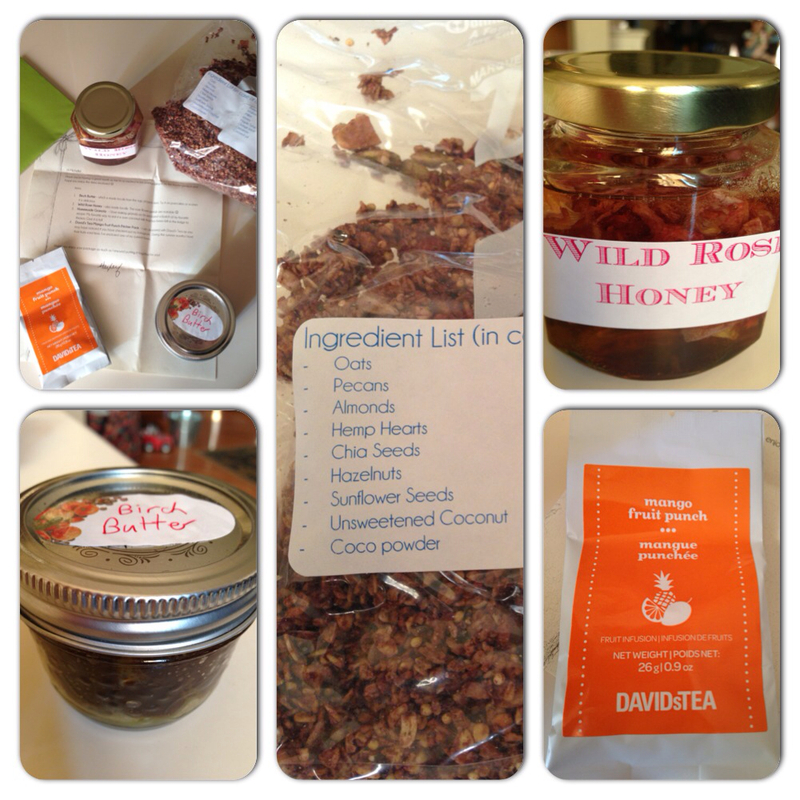 Foodie Penpals is open to blog readers as well as bloggers. Foodie Penplas is open to US, Canadian & European residents. Please note, Canadian Residents will be paired with other Canadians only. Same with Europeans. If you’re from the US or Canada and are interested in participating for June, please CLICK HERE to fill out the participation form and read the terms and conditions. Hi - i stumbled over from the leangrreenbean and I must say - I have never heard of birch butter before! Thats my new thing to learn about today! I had never heard about it before either...that's what I love about this program! Thanks for checking us out! I really need to sign up for foodie pen pals, it's right up my alley! Jealous of all the great things you got to try! This was the first month I HAVEN'T participated in Foodie Penpals because I received a Bulu Box subscription. I missed Foodie Penpals BIG TIME!! Looks like a lot of yummy goodies! That granola sounds delicious! I've been meaning to sign-up for another foodie pen pal and now you have reminded me! I have thought about signing up for this about... oh I don't know 10 times :) I just never do. Tell me to stop slacking! It is sooooo yummy - very flavourful. You've got the next 4 days to sign up for August! well...time to go sign up for August! I signed up! Excited! Do you have to re-sign up every month? I know. It's right there staring at me. Ps thanks! Sounds like an interesting program! It's a great way to step outside your comfort foods and try something different!